‘TRUTH OR DARE’ Trailer Launch – Spotlight Report "The Best Entertainment Website in Oz"
Universal Pictures has released the official trailer for Jeff Wadlow‘s Truth or Dare. 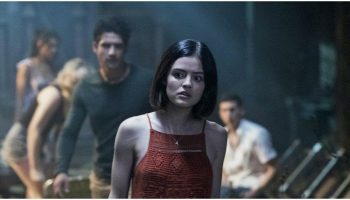 Lucy Hale (Pretty Little Liars) and Tyler Posey (Teen Wolf) lead the cast of Truth or Dare, a supernatural thriller from Blumhouse Productions (Happy Death Day, Get Out, Split). A harmless game of “Truth or Dare” among friends turns deadly when someone—or something—begins to punish those who tell a lie—or refuse the dare.